While WhiteSmoke has always been one of my top grammar and proofreading tools, I do know that no one size fits all. I have listed some very effective (and even free) online proofreading software earlier and even wrote my hands-on experience using ProWritingAid & how it gives Whitesmoke a run for its money. WhiteSmoke lacks some key features like browser extension and desktop apps. Not to mention it doesn’t offer for a free trial! So those who are looking to download WhiteSmoke for free trials before investing might not like this. In this article we’ll talk about top 7 WhiteSmoke competitors in 2019 that give WhiteSmoke a run for its money! Or view our Editor’s Recommendation to discover our final pick for the best Whitesmoke alternative. It’s hard to mention WhiteSmoke in any grammar tools comparison post and leave behind Grammarly. They are like cousins! Just like WhiteSmoke, Grammarly is great as a grammar & punctuation checker, proofreading tool & plagiarism checker. Getting your hands on this tool gives you the best chance of experiencing its amazing benefits. All you need is to log into the software, upload/copy-paste your lengthy text, set your editing goals, and voila! You can start the actual correction process. Setting the goals helps the Grammarly AI best understand your writing needs. The goals include your target audience, writing style, emotions, and genre. As you start to correct the text, double-clicking on a word will give you its appropriate synonyms and definitions. You can also click on the insights button and get an overview of your document. Insights range from readability score to the number of words and vocabularies. Android and iOS mobile devices. Grammarly goes beyond fixing overlooked grammar mistakes and misspelled words. It improves your vocabulary and writing style no matter your profession! Cementing the reasons why it has earned the trust of students, professionals, and businesses. Check out my Grammarly review for a more detailed overview of how it can help you. Or click here to avail your Grammarly student discount coupon (if you’re a student) or here forGrammarly discount for regular users. In the fight for the best grammar checking tool, I would say Ginger is the second runners-up! Ginger lets you proofread your text as you seek to improve your spelling and grammar! Grammar checker for any spelling, punctuation, and grammar issues. A dictionary – with contextual synonyms and instant definitions. A personal dictionary to save non-English words. A Sentence Rephraser to convey your message with more clarity and style. Personal trainer to improve your English through personalized practice lessons. Smart word prediction to amplify your typing. Text reader that offers a better way of reviewing your text. A translator that quickly translates your text from over 60 different languages. You can confidently use the free version of Ginger for grammar checks on a few articles and blog posts. However, to experience the full power of this software, you will have to invest in the premium version. Ginger premium is the ideal English correction tool for students, startups, and small institutions. Where it lacks: Ginger software doesn’t have a plagiarism checker, so if that’s something you want then you might prefer Grammarly. Grammar Cheat Sheet That’ll Improve Your Writing Instantly! ProWritingAid goes by the “personal writing coach” tagline for a reason. It features a grammar guru, writing mentor, style editor, and a plagiarism checker. Faster text editing with 1000s of style improvement suggestions. 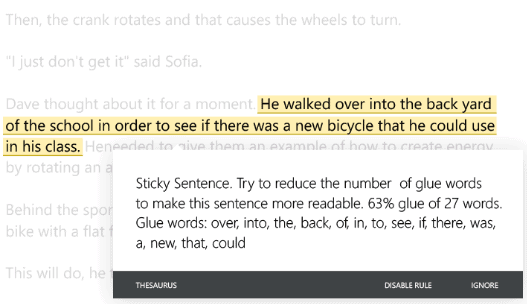 Fixes style issues to avoid passive voice, repetitiveness, and wordy sentences. Eliminates spelling errors and grammar mistakes. Built-in contextual thesaurus and Word-Explorer. Summary report of critical issues to improve your writing. Read my ProWritingAid review to discover more features. ProWritingAid is available in three versions, free, premium, and premium plus. The free version gives you 19 writing reports and ability to edit up to 500 words texts at a time. It is also available for online use only! On top of the free version features, ProWritingAid Premium has no word limit on texts. You also get unlimited summary writing reports. The premium version is available for Desktop (Windows and Mac) and has integrations for Scrivener, Chrome, Google Docs, and MS-Word. Things get better with the ProWritingAid Premium Plus. It packs all the premium features and gives you an extra 50 plagiarism checks (which makes it a perfect Copyscape alternative too) per year. It is the perfect plan for learning institutions and committed students! To enjoy the anti-plagiarism features in the premium plan, you need to buy them separately. They come in packages of 10, 100, 500, and 1000 checks! Just like Grammarly, ProWritingAid gives you the option to copy-paste or upload a document for editing. Its dashboard is sleek, with all the editing buttons at the top for fast navigation. 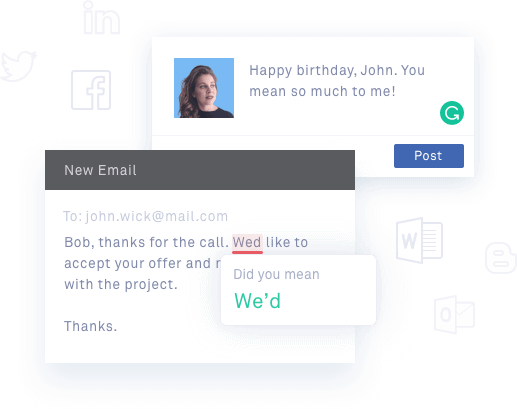 You can choose the writing style between general, academic, business, web, casual, creative, and technical before you start editing (this feature is something Grammarly offers you in its premium version). Where it lacks: ProWritingAid lacks in mobile app integrations so if you write too much on mobile, you might want to consider Grammarly. Please Note: We’ve officially partnered with ProWritingAid to bring you a ProWritingAid discount coupon of 25%. Make sure to use the coupon code “GYD1925” to to claim your discount. Looking for a grammar checker tool that integrates directly with your WordPress editor? Check the next one out! If you’re a blogger (or use WordPress sites) I should definitely try Jetpack as a WhiteSmoke alternative. Jetpack does way more than just preventing spam comments on WordPress sites! This plugin has been improved to help you design your website, secure it, market, and earn through it hassle-free! Even as you ponder on the fantastic things Jetpack can pull off, I’ll break the news that it also features a built-in Spelling and Grammar Checker! Jetpack’s Grammar and Spelling checker uses “After the Deadline” proofreading technology. It was a separate plugin that luckily got included into Jetpack’s main structure! This checker functions like the standard WordPress editor modules. Once activated (wp-admin > Jetpack > Settings > writing in your site’s dashboard), it will add a spell checking functionality. Once activated in the WordPress editor, the proofreading feature will underline grammar mistakes in green, style suggestions in blue, and spelling errors and misused words in red. Clicking the underlined word or phrase gives you a drop-down with suggestions. While this tool isn’t as advanced as WhiteSmoke, it is an excellent alternative for bloggers and editors who write in the creative and casual fields. This feature is available in all the Jetpack plans including the free version. Where it lacks: Jetpack works only with WordPress blogs so this is strictly for bloggers. For general users, you can try the above solutions. PaperRater is a free English correction tool that utilizes AI to help you analyze and improve your writing. Unlike most of the other grammar checkers, this software is free and web-based. 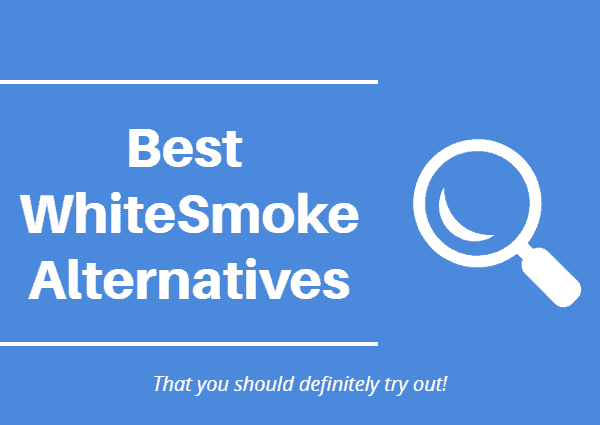 So, if you’re looking for free WhiteSmoke alternatives, do check this out. PaperRater is perhaps the only free writing tool in this list that offers a free plagiarism checker apart from its grammar and punctuation checkers. Grendel, the algorithm that powers PaperRater also provides you with a vocabulary builder that mimics the synonym feature we use with MS Word. Increasing the page limits per submission from 5 pages to 20 pages. Increasing the monthly submissions from 50 to 200 per month. Raising the monthly plagiarism checks from 10 to 25. Integrating the plagiarism checker to the proofreader, giving you a faster processing speed. Gives you the ability to upload files in DOCX, DOC, RTF, and TXT. You get more writing suggestions and additional editing modules. For basic grammar and writing solutions, PaperRater features a free plagiarism checker, a word builder that boosts your vocabulary, and the text proofreader. You don’t need to signup to rip the benefits of this tool! All you need is to copy+paste the text into the dialog box. Before submitting for review, you will need to select the author’s education level and choose the type of content in question. Unlike Grammarly and ProWritingAid that have classified their type of content in the main writing genres, PaperRater classifies the types of paper. It is a long drop down list where you can select whether it is an essay, research paper, blog post, or a short story among others. AutoCrit is a popular writing and editing software in the world of fiction writers! It helps authors edit, fine-tune, and hone their manuscripts as they ready them for publishing. With just a few button clicks AutoCrit will analyze your manuscript, highlight the specific phrases and words that need correction, and provide recommendations for improvement. You will also get suggestions for readability and style improvement. Such improvements will range from removing repetitive phrases and excess adverbs to bettering the generic descriptions and long sentences. All the process takes place in real-time. There is a reason why AutoCrit has earned the trust of over 50,000 writers and editors including some of the famous authors like Danielle Steel, John Grisham, and Stephen King. By using Autocrit, you will be analyzing your manuscript against other millions of best selling published works in your genre. This makes it a strong WhiteSmoke competitor for authors. Autocrit is one of the best grammar and editing tool for fiction writers allowing them to check their writings’ pacing and momentum, dialogue analysis, grammar and spelling, strong writing to name a few. Autocrit has an option to let it know tat you’re editing non-fiction or blog posts so that it edits the content that way. You will need to sign up for their paid membership plan to start enjoying this tool. There is a one week free trial in case you need to get your hands on the service before fully committing yourself! Slick Write is a free and powerful web-based grammar checker and proofreader that allows you to write better! It simplifies the process of checking your texts for grammar errors and style mistakes. Like most of the free grammar checkers, Slick Write features a minimalist interface. You don’t need to sign up to rip the benefits of this tool. Using the application is pretty straightforward. Copy and paste your text into the dialog box and click “continue.” Your writing will be analyzed, and a summary report will pop-up with highlights on the areas you need to improve! Superfast grammar checking with immediate reports. A customizable feedback system to suit your writing style. Detailed statistical reports with sentence types, reading time, and vocabulary variety (to identify passages with the least variety). Gives you passive voice index, readability index and prepositional phrase index with a beautiful graph structure. Google Chrome and Firefox extensions. Where it lacks: SlickWrite doesn’t have an option to check duplicate content like WhiteSmoke does. So if you’re looking for that functionality, Grammar would be the best choice for you. While all the above tools help you write flawless English and make your blog posts look more professional, Hemingway app improves the readability score of your content. Hemingway App helps you write peacefully with a distraction-free writing (you can write complete blog posts with correct formatting including headings, links etc) and editing mode and then export your document as a MS Word, HTML or even in markdown format. You can easily integrate Hemingway app with WordPress or Medium.com for easy publishing of blog posts. Hemingway app is highly recommended if you want to make your writing less complex and easier to read by removing active and passive voice, complex words, adverbs and other weakening phrases. Looking for a grammar and punctuation checker tool that works without active internet connection? Hemingway has got you covered! Where it lacks: Like most in this list of WhiteSmoke alternatives, Hemingway app isn’t something that checks for plagiarism. So there you have to either choose ProWritingAid or Grammarly. While I was reviewing all these alternatives for WhiteSmoke I found out that the free ones do save you money but are only good if you want some basic grammar checker functionality. They are not full-fledged WhiteSmoke competitors and hence cannot be recommended. From the premium ones, I loved how Grammarly performed (or we can say outperformed WhiteSmoke) in almost every aspect. From writing checker to plagiarism checker… from accessibility to ease of use, Grammarly is definitely worth every buck you invest in it. 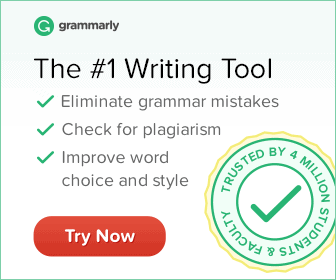 If you’re looking for a true and reliable WhiteSmoke alternative.. Grammarly is something you definitely should try! Or click here to get 20% official discount on Grammarly!